Every now and then I have a patient or dentist ask me about some type of product that may accelerate orthodontic tooth movement. I wanted to discuss a few facts and some of the research concerning some different methods advertised and/or investigated to essentially speed up tooth movement. First of all, the public must realize (for that matter dentists must realize) that products are advertised to sell. IF there is a product out there, they will pay to advertise that it is the best product (makes teeth move faster, produces less pain, makes you run faster/jump higher, etc., etc.) so consumers really need to consider the source. Probably the most obvious example is the explosion of advertising from InvisAlign and other aligner trays making wild claims and generalizations, even producing research (funded by the company of course) supporting why their product is the best. Keeping this in mind, the following information is from juried research, article and papers produced and published in the AJO-DO, the recognized clinical Journal for Orthodontic Specialists. 1. Use the correct appliances for the specific case (don’t try to use clear aligners to treat moderate or severe crowding, overjets, openbites, underbites, or otherwise difficult cases requiring significant movement or removal of teeth). Just because you can improve crowding with aligners IN NO WAY equals a full correction. Braces remain king. They are faster, compliance independent, more accurate, more adjustable and provide more force to teeth than any aligner, even the specialty based Orchestrate Aligners that I employ. 2. 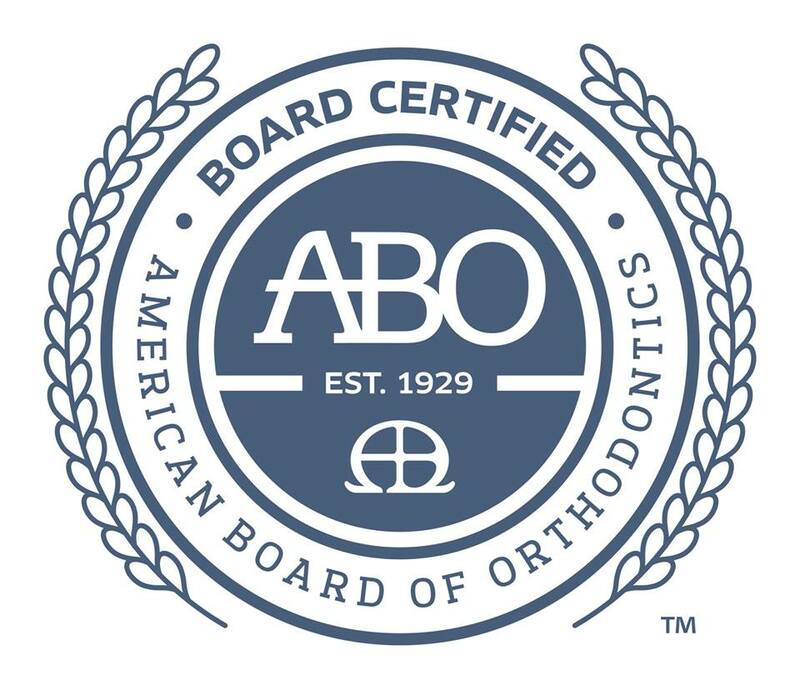 Go to an accredited Orthodontist with specialty training (preferably a board certified specialist); someone who can accurately diagnose and safely treat your family THE FIRST TIME. 3. GOOD ORAL HYGIENE AND GOOD COMPLAINCE!!! Most Orthodontists will tell you the number one cause of long/extended treatments is compliance and not the complexity of a given case; this means compliance with oral hygiene, compliance with avoiding hard foods and compliance with any rubber bands. Broken brackets, loose wires, poor oral hygiene and not wearing rubber bands can add months if not a year or more to a normal treatment and lead to an incomplete correction. Now I need to provide a little science and biology so you as the public have some baseline level of understanding how teeth move to discuss accelerated treatment options/research. Keep in mind the difference in B.S. in science v. BS in advertising! Most doctors and patients know that pressure from wires/braces/aligners moves teeth. The mechanism of Bone modeling is the independent process of activation-resorption of bone (catabolic action) or activation-formation of bone (the anabolic action) on the surface of any bone. Bone remodeling is a coupling or turnover of bone which starts with resorption then changes into bone formation and replacement of the old bone. Orthodontic tooth movement is affected by both modeling and remodeling of the bone. Modeling of the bone is limited by the time it takes our inflammatory cells (osteoclasts) to resorb the surface of the bone around the tooth. Once bone is resorbed (think of it being “eaten away” by the osteoclasts), cells that produce new bone called osteoblasts lay down the new bone. These two cells are generally organized into multi-cellular units so that the process of resorption and formation are constantly working in sync. The process of this resorption/formation is in turn regulated by biochemical factors such as blood proteins, hypoxia (low oxygen in the local tissues), chemical factors (see below) and by mechanical factors. 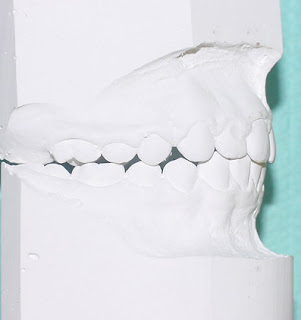 So how do braces affect bone remodeling and modeling as they move teeth? 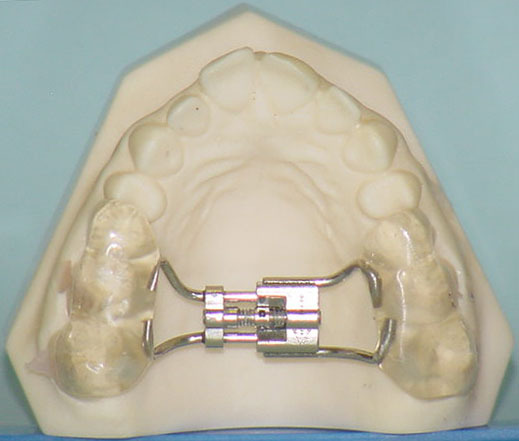 Braces and other orthodontic appliances provide mechanical forces which lead to compression of teeth against the bone. This compression leads to hypoxia (recued oxygen to the surrounding tissue and bone) which then triggers the osteoclasts (through triggering chemical factors to increase osteoclasts and osteoblasts) to chew away the bone in the compressed area. There are also chemical factors that are triggered by the hypoxia (cytokines and prostaglandins) that cause increased production of the inflammatory cells as other chemicals and proteins trigger precursor cells (more generic younger cells) to differentiate (morph or develop) into adult inflammatory cells such as osteoclasts and osteoblasts. The cumulative process of bone resorption turns out to be the limiting factor of tooth movement so theoretically, anything that can increase the speed of the resorption at the surface of the bone will increase the tooth movement as long as the forces remain on the teeth. The remodeling or bone formation is faster so we will leave that process for another day. So what are some ways to speed up bone resorption during orthodontic treatment? 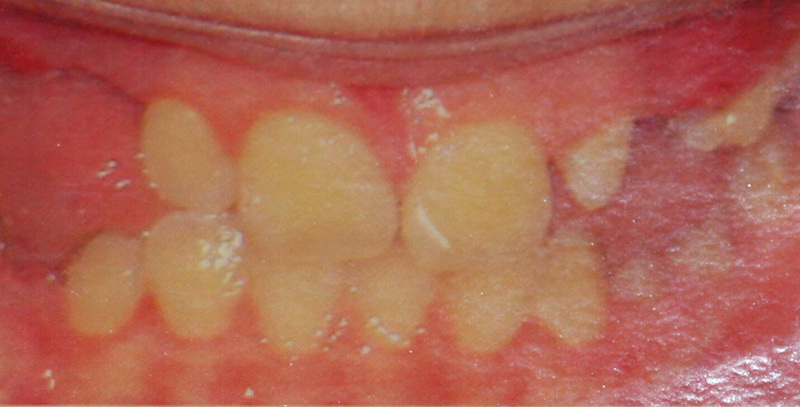 One of the ways researchers and clinicians have attempted to affect this process is to increase the number of osteoclasts in the area where tooth movement is desired; by increasing the number of bone-eating cells, you will increase the amount of bone that can be removed at one time (which as noted is the limiting factor in orthodontic tooth movement). Think of goats in a grassy yard; one can clear a small yard in a week, two can clear the same field in 3 days, and so on. With this goal in mind, research has shown that one way to increase the number of local osteoclasts is to purposely injure the surrounding bone. Researchers cut grooves in the bone between teeth (a process termed “de-cortication”) and studied the effect on orthodontic tooth movement. This process did in fact trigger a significant increase in osteoclast formation/aggregation and differentiation which led to accelerated tooth movement. However it also required full mouth periodontal surgery and a perceived risk of other issues such as possible bone loss and/or recession. Although in a healthy mouth the healing should be successful, there is always a risk of other problems/damage to roots/exposure of roots or just prolonged pain from the surgery. This process is far from routine and most Orthodontists do not feel the risk of problems and the overall discomfort/risks of surgery justify the saved time in treatment on most patients. An even more scientific way to increase tooth movement is to directly inject chemical factors and proteins that act directly on the cells to increase inflammatory cells and/or block the natural mechanisms that keep the inflammatory process in check. 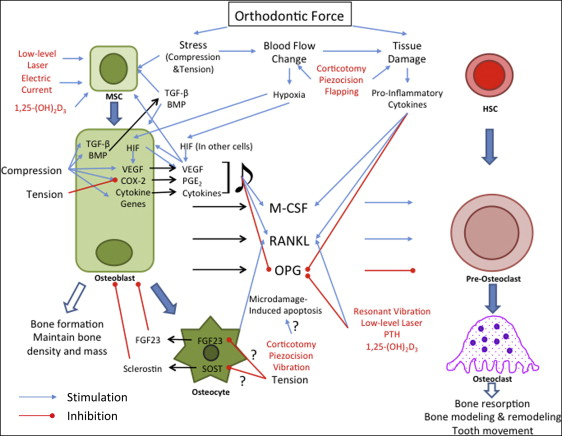 The idea is to regionally increase osteoclasts chemically which then will lead to only local increases in bone resorption and therefore can increase tooth movement in those areas. To understand this (you may want to skip the next paragraph and just know it is possible! 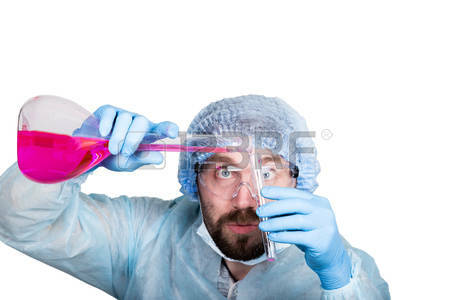 ), I have to explain the process and name some of these chemical factors. By the way, these same Factors in the blood/gingival fluids are those affected by pressure from orthodontic appliances (the effect of which begins within hours of the pressure exerted and lasts up to 5 days after the forces are applied). So what are these chemical factors? One of these is known as Receptor activator of nuclear factor Kappa B ligand (or RANKL for short); this factor directly accelerates production of osteoclasts. Another factor is Macrophage colony-stimulating factor (M-CSF) which, as its name suggests, increases the units containing both osteoclasts and osteoblasts therefore increasing bone resorption. In fact, the M-CSF recruits precursor cells that then can differentiate into fully functional osteoclasts/blasts. A third class of natural fatty acids known as Prostaglandins will increase the production of RANKL (which then increases the production of osteoclasts). Prostaglandins are produced in response to hypoxia and tissue damage; in fact this is the reason we take NSAIDS such as Aspirin, Motrin/Advil/Ibuprofen, and sometimes Indomethacin (for gout and arthritis) to reduce pain from inflammation as these drugs prevent or reduce production of Prostaglandins. So in turn, injection of RANKL, M-CSF or Prostaglandins will all cause in increase in production of osteoclasts and therefore an accelerated movement of teeth during orthodontics. Again, for most clinical settings, this is more experimental and introduces risks solely for the purpose of accelerating the inevitable movement of teeth and is therefore not a common practice. And the acceleration achieved may not be more than a few months. It can also lead to increased sensitivity/pain and a risk of other unseen events. It is more likely to be used in a specific area to move one tooth (a stubborn molar) or group of teeth faster versus other teeth across the arch. Are there other devices that can increase the amount or activity of osteoclasts and speed up orthodontics? Resonance vibration is a process of vibrating an object equal to the natural frequency of an object to amplify the amplitude of that object (similar to two voices harmonizing which increases the amplitude of their voices together). Resonance vibration of 60Hz to molars in rats for 8minutes once a week has in fact shown to increase molar movement by 15% compared to controls by stimulating more expression of RANKL which increased osteoclast formation around the molars. Using this theory and similar experiments, one company has produced an appliance called AcceleDent which has been marketed with claims it can increase the rate of orthodontic movement however objective researchers point out that AcceleDent only produces vibration at one fixed frequency far lower than the studies (4 Hz). As of recently, there have been no peer-reviewed studies to confirm claims by AcceleDent by evaluating the biological effects or even the clinical effects. It is likely that such a low resonance of 4Hz is not harmful but it is also likely that it is clinically insignificant if effective at all in its current form. Lasers have been shown to accelerate tooth movement in human studies however there are also studies that revealed no accelerated movement with the same low-energy lasers on soft tissue. In fact some studies showed the opposite with movement actually slowing. Unfortunately it is difficult to equate one patient or clinician with another and forces in the mouth can very complex and vary as teeth move and energy in the appliances is reduced. Magnetic fields have also been studied to see how they may affect bone remodeling. Animal studies followed by histologic evaluation has shown increased bone remodeling from both static (constant) magnetic fields and pulsed magnetic fields by increase both resorption of bone and increased production of bone at the apposition side. In addition to these mechanisms, the static magnetic field reduced the hyalinization in the ligaments around the teeth which was thought to contribute to the accelerated tooth movement. Unfortunately other studies did not repeat these results and even worse, one study was able to demonstrate root resorption from the magnetic field which effectively kills this option for the practicing clinician at least for the time being. Electric current in small amounts (but constant) has been studied in animals and this significantly increased tooth movement (100% increase in some samples); the histologic study showed significantly increased resorption at the anode site and significant bone formation at the cathode side with a significantly increased osteoclast production throughout the ligament surrounding the teeth (the PDL). Researchers are still struggling with a source for the electricity (they are considering enzyme batteries, something above my clinical knowledge for sure and certainly not yet a reality). Vitamin D3 (1,25 Dihydroxy vitamin D3) injections in animals have shown to increase bone remodeling by 25 to 150% by stimulating formation of osteoclasts (dose dependent) in conjunction with orthodontic forces on the teeth. The nice effect of D3 is that researchers also found an increase of osteoblast formation and therefore an increased bone formation following the resorption. The researchers pointed out this makes the effect of D3 more balanced when it comes to overall bone volume. To achieve this effect however, there were significant and frequent quantities of injections making human use questionable and certainly requiring more research to investigate the systemic effects of such treatment. As mentioned previously, Prostaglandins (PGE1, PGE2 or their chemical analogs thromboxane A2) also lead to increased resorption of bone and researchers have studied this phenomenon by injecting PGE to increase tooth movement. In humans, submucosal injections around local areas in the mouth has been shown to increase tooth movement by about 50%. Of course this same logic means anti-PG drugs such as pain relievers Aspirin and Ibuprofen will slow tooth movement by reducing the effects of mechanical forces in producing PGE’s which in turn prevents the increased ramping up osteoclast formation. So what does this all mean? Can we speed up Orthodontics? In short, yes we can speed tooth movement up in a research setting with many mechanisms however the vascularity of the oral tissue is going to carry any pharmacologic agent/chemical throughout the body and there must be significantly more research before a widespread method will be available to speed treatments. Also, some of the methods to accelerate tooth movement involve purposely damaging or injuring the tissue which, in my opinion, borders on unethical if not outright malpractice. Currently treatments that appear to speed treatment (such as special brackets or trays) only partially move teeth, tipping the crowns into apparent alignment without uprighting the roots and allowing time for the bone to remodel and stabilize; it is inevitable these “faster” cases will only relapse in the future. Others are just inflating expectations and geared toward increasing sales to the public more than basing treatments on evidence (they are after all just companies pushing products). Use of extra-oral devises may be based on theoretical grounds and research evidence may support the root idea, but clinical significance has yet to be established and is likely not valid enough to justify peer-reviewed scientific research. My opinion is that in a competitive market what we see are more gimmicky products being pushed in an effort to present some false façade of expertise in new products to separate one doctor from another. I also believe that many of these products go along with aligner trays that are not producing adequate results in an effort to make aligner corrections somehow better than traditional braces (which will likely never even be close to the case despite what the public is fed by Align advertising). The speed at which tooth movement can be accelerated by current methods is likely insignificant to minimal and just does not rise to the level of endorsement by knowledgeable specialists. It is true that products are advertised by companies and even recommended by dentists that act on hear-say knowing it “probably won’t hurt and may help”, but a true specialist practices using evidence based procedures. The exception currently is the use of tissue damage through decortication (and now more limited scarring of the bone or even just flapping the gingival back away from the bone and placing it back) to accelerate movement of teeth. I use this process in cases where I don’t have the anchorage to move a tooth forward (usually a lower molar to pull it forward and replace a missing molar) or there is an impacted molar. I especially like to reserve removal of 3rd molars in these cases when I start braces so that if I do run into problems moving a tooth, I can have the third molars (wisdom teeth) removed at a specific time and the decortication performed at the same time. PGE injection can be used in the same manner however I do not prescribe to wide spread use for the sole reason to increase tooth movement by 20 to 30%. I hope this addresses some questions about accelerated tooth movement and dispels some myths. 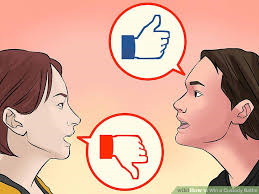 In today’s world of advertisers driving treatment standards and pushing products directly to the consumers (around the dentists and specialists) as has happened with InvisAlign, Clear Correct and Smile Club, it has become increasingly more important for patients to seek practitioners that tell them what they need to hear and not just what they want to hear. If we stop acting on evidence-based research and turn instead completely to profit driven billion dollar companies to sell us their products with false and/or exaggerated claims, there will be no good doctors that can compete with advertising; the best will retire and the others will just sell you what you want to prevent going out of business. Dr. James R. Waters is a 1996 graduate from UTHSC Dental School in San Antonio, 1997 graduate of Advanced Dentistry from the UNMC in Nebraska and the 2001 Valedictorian graduate from the prestigious Saint Louis University Orthodontic Program receiving the J.P. Marshall award for clinical excellence in 2001. He holds a Bachelor’s Degree in Science, Doctorate in Dental Surgery, a post-doctorate certificate in Advanced Dentistry, post-doctorate Degree in Orthodontics & Dentofacial Orthopedics and a Master of Science Degree in Orthodontics and is a Diplomate of the American Board of Orthodontics. Dr. Waters and his wife of 21 years live in Austin, TX with their 4 children where he has a thriving, multi-faceted Specialist practice with locations in Steiner Ranch and North-Central Austin. You can learn more about Dr. Waters at BracesAustin.com. It is not uncommon at all to be in the middle of braces and end up having to move for a job or family. As an Orthodontist in a busy city like Austin, we have patients moving in and out at all times. I also have a lot of kids going into college that have to be finished or retained. For the Orthodontist it can be challenging but for the patient and parents of patients it can be downright frustrating. I wanted to provide something of a “help guide” for these patients to help them navigate through the process and the pitfalls (with some explanation from the Orthodontist’s side) of relocating and finding a new Orthodontist. First, most reputable Orthodontists will not accept in-town transfers without a good cause and a call from the treating doctor. Also, most (including me) will not accept a case in treatment from a general dentist or Pedodontist no matter the situation as they are untrained and may add significant liability to any case. As I have written many times, it is so very important to choose a good Orthodontist from the start. This is why I suggest a private practitioner with his/her own free standing practice (not a strip center company or “dental center”). Once you begin treatment, you will be bound to the doctor except for extreme circumstances and any change you may want to make will likely cost you in time and dollars. Orthodontists know these patients are already unhappy and will be, by definition, a challenge to finish. They also know that they will be partially liable for all work, not just their own efforts so they will be careful before going down that road. 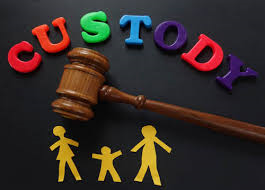 Also, make sure if there are several parents with custody concerns that you provide adequate informed consent from all parties that are custodians even if the ex-spouse is in another city or state. Putting your Orthodontist in the middle of a divorce/custody battle is in no one’s interest. 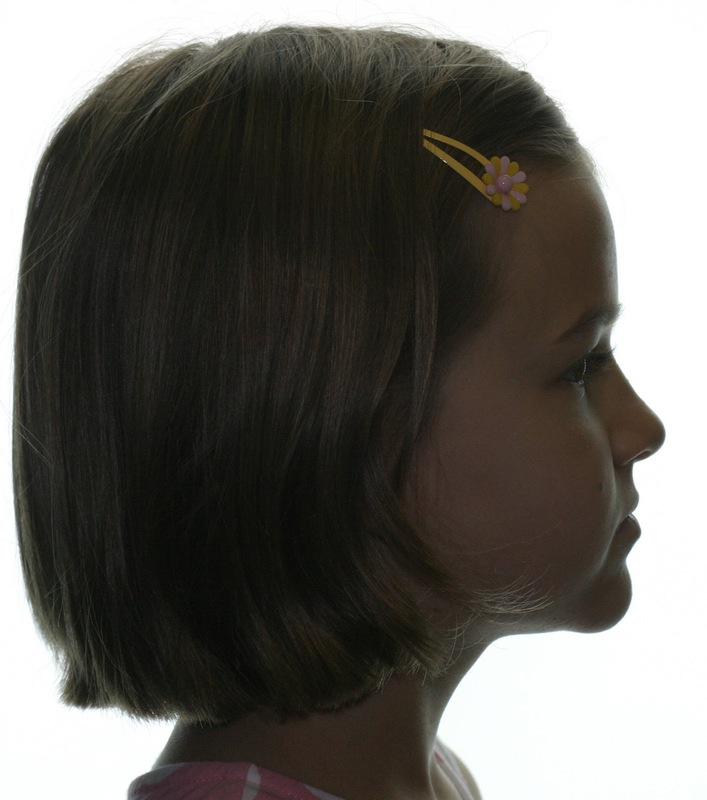 If one party wants to treat and another does not (especially if money is involved, the Orthodontist will likely o accept your child as a patient no matter the need. This is because even if you agree to pay the Orthodontist, when you as parent #1 go to send a bill to parent #2, they will reject it and say they never consented. Believe me it happens all of the time. Ultimately it become a mess and can even go to the local state board for adjudication. No Orthodontist deserves or wants this. Second, it is important to give your treating Orthodontist as much notice as possible. If you know you will be relocating in less than 6mo it is probably best to wait until you move though there are circumstances that make starting braces immediately very important such as premature loss of baby teeth or impaction of teeth. 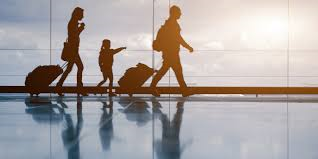 If you are in treatment and know you will be moving, let your doctor know where you will be moving so he/she can start researching the area for a similar practice for you to transfer. Keep in mind that different Orthodontists may use different braces; if there is significant time remaining or the new Orthodontist just isn’t comfortable with your brackets type, he/she may replace all of the braces which will cost you as the patient. I try to never replace all brackets/braces BUT I have done so on several cases where I felt there was more than 18mo of treatment remaining or I felt that the braces needed to be moved anyway (raised up from the gumline for hygiene, etc.). In fact, I review my own cases at 12mo with X-Rays just for this reason, to re-position any brackets that don’t look right at that time. Next, allow your Orthodontist to recommend a new Orthodontist and send records and notes directly. This shows the new Orthodontist that everyone is on the same page and it keeps the treatment plan consistent. Cases transferring mid-treatment will not look the same as they started; it is important to know where a patient came from just as much as knowing what the teeth look like at the time of transfer. 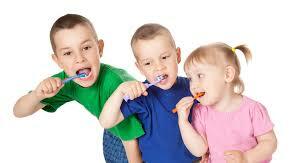 Until the new doctor has accepted your family, make sure kids are brushing well. Finally, don’t be afraid to talk about the insurance and money with both your current Orthodontist and the new Orthodontist. I always fill out a financial sheet for the new Orthodontist so thay know our initial fee, what the insurance has/will pay and what the patient has/still needs to pay. I don’t charge interest for payment plans at my office so it is relatively easy to stop payments and leave the remaining payments (plus a fee for retentions, usually $450 at my office) for the next office. If the patient tells me they are moving in a few months and I fell they have over-paid a few months, I can stop payments early and even bring them in a little more often to get some more done before they move. 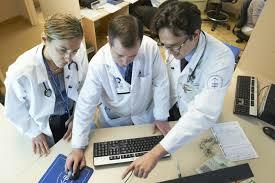 This leaves more money for the new office and may give the patient a lower fee at the new office if more is complete. 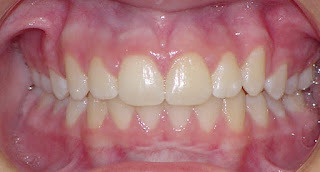 Regardless, every patient should expect to pay more for a transferred case v. finishing with the original Orthodontist. It can go the other way or can be a wash, but do not expect that. And the worst thing you can do is start off complaining to the new Orthodontist that you are paying them too much. 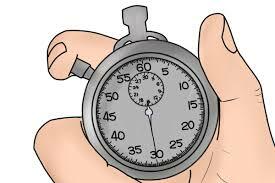 Remember that they are estimating time remaining from where the patient stands now; they do not have the down payment to carry them if a case is going longer than estimated (can be from missed appointments, compliance, slow eruptions, unexpected growth or just a tough case with really solid bone slowing movements). The original Orthodontist would likely not increase a fee midstream but you cannot expect a new orthodontist to eat that extra time. If I get a financial sheet from a transferring Orthodontist, I try very hard to keep the treatment the same assuming progress has been consistent and the fee structured fairly. I also try to give a complete fee to finish a case if it is longer than 6mo (versus a monthly fee). It will generally be prorated based on my fee schedule with consideration of the previous doctor’s fees and collected fees. 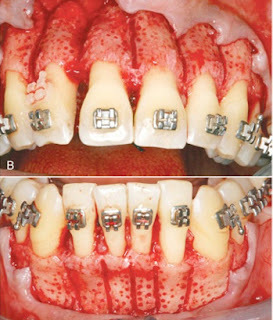 If a case requires debonding and then placement of new braces, there will be a significantly higher fee (probably still less than full fee but still significant, maybe 75 to 90% fee). IF there is only a few months remaining, I will likely charge $150/mo plus retention ($450). IF they are already in retainers, we will set up a retention protocol based on what they have (retainers) and how their teeth look, cost will likely be around $450. Just recently I had a patient transfer in with easily 12 to 15mo remaining in an 18 to 24months plan. Treatment was initiated out of town 12months previously but it had been a few months since the patient saw the previous Orthodontist. I took new records (something you should always expect from the new Orthodontist as a standard of care) and had a full consult to discuss treatment and present our fee. In this case, I gave them a 50% discount from my original fee plus a full retention fee (totaling $2875 + $450 for this type of case) as I planned on using their brackets with only repositioning a few based on the films even though they are an unusual blend of two different types of braces that I do not use. This left them with a down payment of @$800 and monthly fees for the remainder plus a $450 retainer fee. This is likely a little more than what the original Orthodontist would charge because he/she collected several months of insurance without treatment and because now the case is extended beyond the original estimate. In this case, it looks like the estimate was also about 3 to 6mo off due to excessive patient growth. Even though the original Orthodontist can probably finish for a little less by taking the hit for the extra time in treatment, I cannot treat for less than half the fee due to the amount of time and treatment remaining. One thing to remember for the patient above is that you really want to see the new Orthodontist without two months of your previous visit. Hopefully your old Orthodontist will take fresh records so you can avoid a records fee (usually @$250 to $350) and the new Orthodontist can hit the ground running. The last thing to remember is that Orthodontics is a science AND an art. One Orthodontist will likely treat just a little differently that every other Orthodontist. 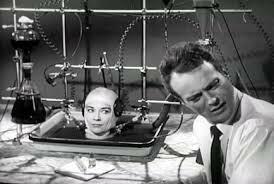 Sometimes treatment plan and philosophies can very wildly. This is why it is important for your transferring Orthodontist to help you locate a doctor with similar brackets/prescriptions./philosophies so you don’t end up paying for new treatment just to arrive at the same correction some other way. Most Orthodontists know if there is another local doctor that can treat a case differently so don’t be afraid to look around if it sounds like a totally new plan after the consult. And remember that every Orthodontist is trying to give you an excellent result; if they do something a little different, you can trust a certified Orthodontist, especially a Board Certified Orthodontist, will get the job done right. What to expect after a bonded Expander is removed. The day has finally arrived; your child’s expander is finally out! 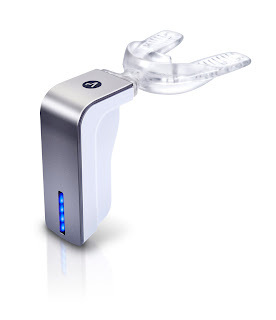 After 6mo to 10mo, you no longer have to hear that slurping or see your child drool when watching TV or drinking. But what can you expect now? First, expect a lot of redness around where the acrylic portion of the expander touched the gums; this made a great seal during treatment but after months, the gum tissue gets a bit irritated if not outright angry. But rest assured this is completely temporary and will pass after only a few days. In the meantime, have your child rinse with a mouthwash a few times a day. It is possible a baby tooth (or teeth) may come out with the expander since the roots resorb naturally; these will heal and provide little if any discomfort because the roots are already gone but they can be rough under the tooth. You may see some bleeding when your child brushes for the first couple of days; this is completely normal. In fact, you really want to avoid a professional cleaning for at least a month after removing an expander. 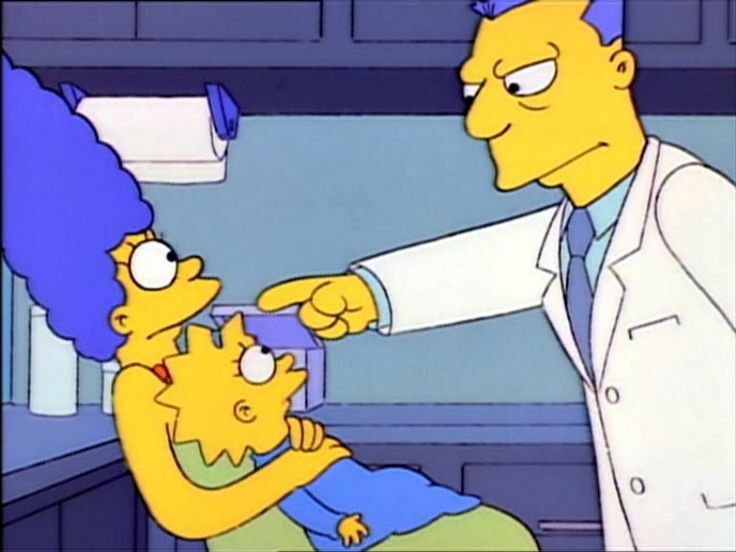 We will clean the teeth at removal. You may also see a few pieces of glue that we didn’t get; your child can spit these pieces out if they show up (this isn’t normal but it does happen). Your child will notice that their teeth “do not fit right”, that there are premature contacts in the back that seem to change daily. This will be normal for about a month or until a retainer is placed. Your child’s gums may be too irritated to eat rough foods such as toast or hard sandwiches; Try to keep somewhat of a soft diet for one to two days until the irritated gum tissue heals. Next, If your child is in limited braces on upper teeth, we will normally place orthodontic metal bands around some of the molars. 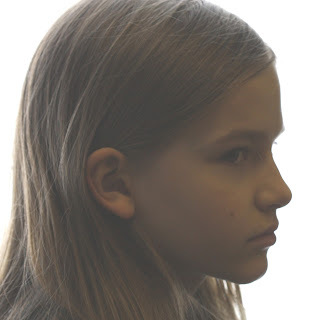 To do this, we normally have the child back 1 to 2 weeks after removing the expander to let them heal. We will then either place spacers for another week or go ahead and band the molars right away. Then we will extend the wire from front teeth back to the molars for anchorage as we finish our Phase I plan. After expansion, there is going to be considerably more space for teeth to erupt and they will usually erupt looking better. There may be baby teeth that can be removed to assist eruptions or reason to recommend further treatment; we will be monitoring your child’s development now until all teeth are erupted or until further treatment might be necessary. So figure a few days to feel back to normal and a lifetime worth of results to enjoy! Dr. James R. Waters is a 1996 graduate from UTHSC Dental School in San Antonio, 1997 graduate of Advanced Dentistry from the UNMC in Nebraska and the 2001 Valedictorian graduate from the prestigious Saint Louis University Orthodontic Program receiving the J.P. Marshall award for clinical excellence in 2001. He holds a Bachelor’s Degree in Science, Doctorate in Dental Surgery, a post-doctorate certificate in Advanced Dentistry, post-doctorate Degree in Orthodontics & Dentofacial Orthopedics and a Master of Science Degree in Orthodontics and is a Diplomate of the American Board of Orthodontics. Dr. Waters and his wife of 20 years live in Austin, TX with their 4 children where he has a thriving, multi-faceted Specialist practice with locations in Steiner Ranch and North-Central Austin. You can learn more about Dr. Waters at BracesAustin.com. There are many different types of malocclusion in the developing dentition. Kids may present with mild spacing to severe crowding, missing teeth to extra teeth and even impacted teeth (present but turned at an angle and unable to erupt). Baby teeth may be in too long or lost too early allowing space to be lost. 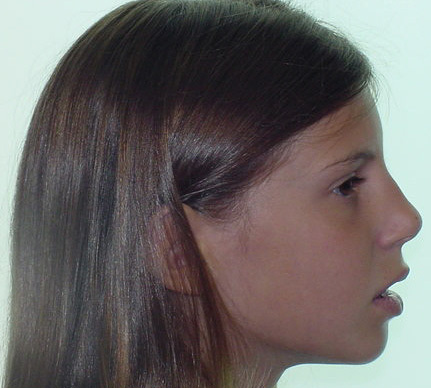 Growth may be irregular, unfavorable or disproportionate with the patient’s face or between upper and lower arches. Whatever the malocclusion may be, there is almost always a “Best Time” to treat. The most qualified doctor to ascertain this will be an Orthodontist so it is important for patient to get to an Orthodontist for a screening exam early, usually around age 7. Keep in mind also that this may not always mean the entire correction can be done at the same time as some problems are best treated at different ages. It also doesn’t completely mandate that you treat every aspect of the bite at different times just because you see one problem early however when the benefit outweighs the cost and risks, then it is best to separate treatment into two “Phases”. I recently had a consult between Phases (after Phase I but before Phase II full braces) where the parents felt slighted that we asked for a new fee to progress into Phase II braces. They swore up and down that I had promised them to treat at the sibling’s same fee from 7 years past. So imagine their surprise and disgust when I told them I was discounting a full 50% of the Phase I cost toward the Phase II braces (bringing the fee less than the seven year old fee). In doing so, I gave up all my profit and then some toward the full braces (I can do this because we prevented removal of permanent teeth, corrected an impacted cuspid and brought her mandible forward a half tooth (Class II to Class I). Unfortunately there was still enough crowding and the original angle of the cuspids allowed them to erupt too far forward and out of the arch so braces were needed to finish alignment. So we all knew that full braces would be needed, this was not in dispute. Neither was the fact that I informed them before Phase I that a second Phase was likely and would be at additional cost. But they still could not understand an additional fee beyond the total single-Phase treatments (from 7 years ago!). In truth, this does not happen to me very often but after 2 to 3 years, parents do forget the details and since we have no idea how much work may be remaining, there is really no way to give a good estimated future cost. We do document in the consult and the parents get copies however these are forgotten and/or lost by the parents over the years. 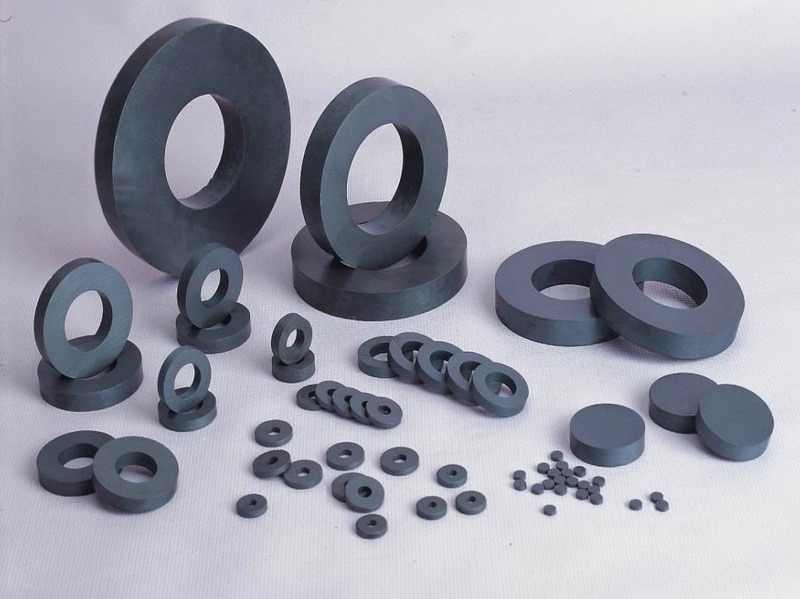 So I wanted to put a quick post out so the public has a better understanding of Phase treatment. First, a typical Phase I may cost anywhere from $450 to hold minor space to $1500 to $1800 for an expander or more extensive space maintenance and retention thereafter to $3000 for limited braces or even up to $4400 for extensive Phase I efforts/appliances to avoid surgery or expose an impacted tooth and force its eruption early/on time. Many times these Phase I treatments will prevent removal of permanent teeth, prevent impaction of teeth and ultimately lay the foundation for a much more stable and more esthetic overall outcome. Can I avoid braces later by treating with a Phase I now? they will tend to erupt straight up into the space provided). 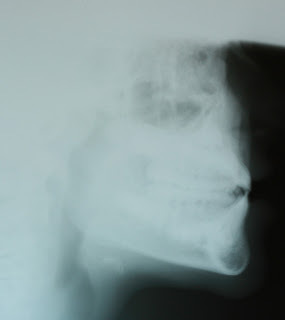 Even a case with a large skeletal discrepancy may be treated fully in a Phase I if the skeletal discrepancy is corrected and then the teeth erupt correctly. I have corrected many early underbites that need minimal to no later treatments, same with overjets due to narrow palates, but it is never completely predictable and there are factors to consider such as compliance, oral hygiene and size of teeth. If I treat early can I avoid removal of permanent teeth? Most of the time, cases that would go to extraction treatment are somewhat borderline; but removing teeth may produce too much space making stability difficult later. If the crowding is minimal and the upper jaw is narrow, it is likely that correcting the width of the upper jaw with expansion will restore space for teeth and alleviate future crowding to the point This also helps alleviate crowding in the lower by removing the constriction from a narrow upper arch. It can prevent braces and certainly can lead us away from removal of permanent teeth later but usually there is some rotation or persistent crowding or deepbite that still warrants a second Phase later. I will almost always discount my regular price for patients I treated with a Phase I by 25% to 50% of the Phase I fee charged. This is not a standard practice with all offices and there are circumstances that still warrant a significant fee for Phase II (number of appointments/actual cost of Phase I/severity of initial and current malocclusions) but generally I try to reward parents for making a decision that provides an easier correction without removal of teeth/impaction of teeth. Why do I have to pay again; why not just wait and treat at one time? Phase I treatment is to re-establish normal development, crate space for future eruptions to prevent removal of teeth and/or impaction of teeth, to improve the growth of the jaws and possibly even prevent surgery. The goal of course is to reduce needs later and improve overall stability of any correction but it is still likely there will may be full braces recommended as a second phase of treatment, Phase II. Money paid for the Phase I covers appliances, time and expertise to set the foundation for good development and a better eruption of teeth. Phase II braces will have their own expenses, time and overhead to correct; they will still carry a fee for braces though it may be less than normal since the idea is the doctor now has an easier case to finish. Any discount or reduction in the normal fee for braces is subjective and up to the provider because he/she will be the one estimating time remaining and judging previous compliance/oral hygiene/growth to make the recommendation. The answer to the second part is dependent on the reason for the Phase I. If extraction of teeth was prevented by an early correction of jaw size, then Phase I saved @$1000 of dental work and provided a more stable dentition with better lip support and a full profile; even if a patient opts out of a recommended Phase II later, the benefits of the Phase I will likely remain. 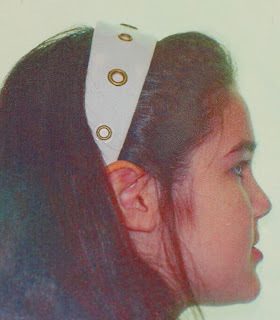 Panograph taken during expansion with limited braces (4 months into treatment); note the space now opening. Now 10mo into treatment, the expander has been removed and limited upper braces have moved the roots of adjacent teeth away from the erupting canines. One year after removal of the Phase I limited braces at age 12y 0mo, you can see the previously impacted canines are now erupting normal and straight; impaction has been prevented as well as any need to remove permanent teeth; there is some minor crowding to correct in the lower arch and a few rotated teeth into the upper arch but now Phase II braces will be more optional, less costly, less time and more stable if employed to finish the correction. If severe overbite/overjet or an underbite was corrected with the Phase I treatment, then the profile may be restored and surgery of the jaw(s) prevented saving upwards of $40,000 in dental surgery plus another $2000+ in added Orthodontic treatment as surgery cases are more expensive than regular braces. 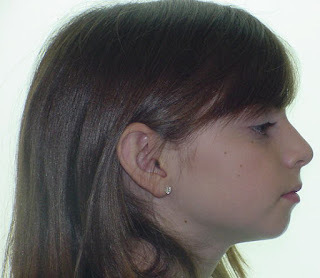 Consider the following cases with changes in their respective jawlines/profile simply from early intervention and no later braces or Phase II treatment. This 7y 6mo young lady presented with a developing underbite and midface deficiency in profile, all from an under-developed upper jaw. 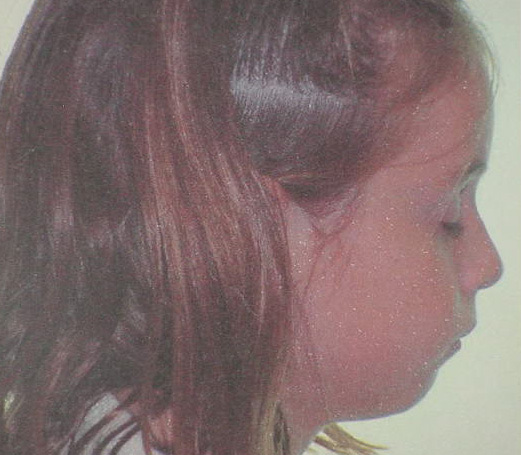 After 15mo of Early treatment, note the change in her face as well as the restored overjet in the X-Ray. 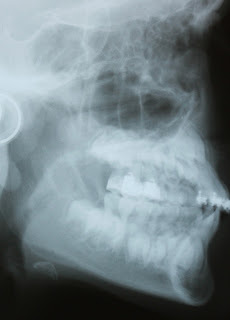 This 9 year old developed a very severe underbite leaving no upper lip support and teeth at risk of fracture. 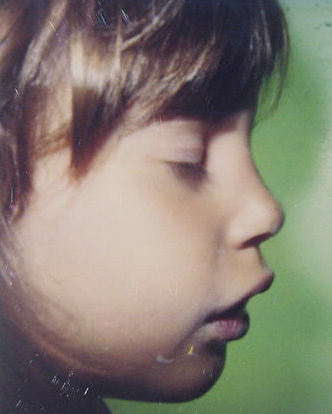 At age 10, just one year later, you can see the changes in the lip support and correction of the underbite with Early Phase I limited treatment. 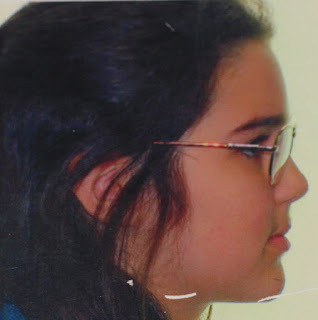 Patient started Phase I at age 7y 7mo and finished at age 9; note the facial change in the pictures taken one year after removal of Phase I appliances. This patient presented at age 7 with a very severe overjet, over 12mm. 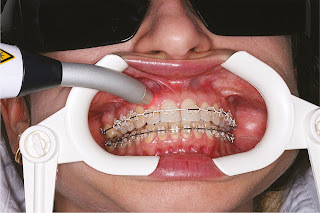 Phase I was planned with the objective of simply reducing the amount of any future work and maybe reducing the need for surgery though we still expected some overjet and full braces. This same patient after an aggressive Phase I course of treatment for 24mo; note the jaw is forward and the previous 12mm overjet has been fully corrected. We then placed a type of retainer that helps “settle” the remaining teeth as they erupt (see results below). The same patient at age 12y, a full 2 years following retention with a positioner to settle teeth. No braces were ever used on this patient; this demonstrates how much of her original malocclusion was due to skeletal (Orthopedic) discrepancies and not actual dental issues. 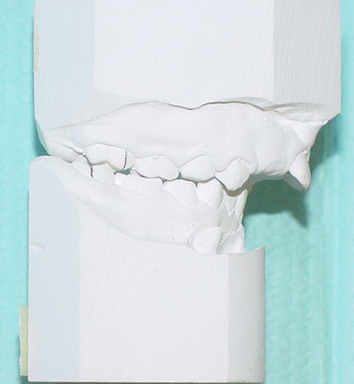 Once the jaws were aligned and the geometry of the arch returned to normal, it was relatively simple to get the teeth to erupt straight and in good occlusion. The benefits long-term may include a more stable bite with less relapse, a more esthetic and full smile, a more favorable chin and jaw line, less wear on teeth by restoring the conditions for better function and less risk of joint pain/TMD; some of these improvements can literally be priceless. Early Intervention or Early braces for children can be beneficial and may prevent much more severe malocclusions from developing This can lead to a much better correction including better function, a more full smile and preventing of extractions or even surgery. Because of the nature of the eruption of teeth and specific growth of individual children, there is no definite time to start Phase I or make a decision when it is too late; every patient is different. 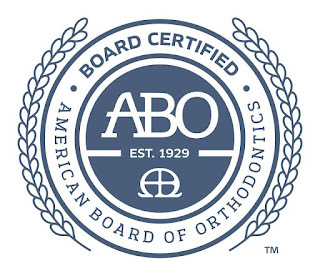 The American Dental Association, the American Association of Orthodontists and the American Board of Orthodontics all recommend young patients be screened by an accredited Orthodontist by age 7 (when the permanent 1st molars are erupted) to determine if early treatment would be beneficial.